From worship and prayer to family and the use of money, the book of 1 Timothy is full of implications for life in the local church. But beyond these practical truths for all believers, Ryken writes, "Paul's purpose in 1 Timothy is to help his spiritual son remain true." Thus the book has special application to those in gospel ministry. These truths that helped Timothy in his day are just as applicable to church leaders in ours -- both for personal godliness and for the collective life of the church. Whether for personal study or sermon preparation, Ryken's exposition is a sure guide to all who are interested in this pastoral epistle. 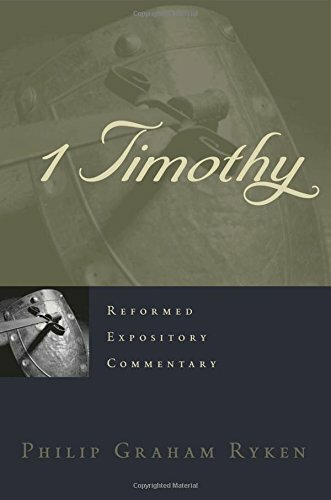 As are all of the books in the Reformed Expository Commentary series, this exposition of 1 Timothy is accessible to both pastors and lay readers. Each volume in the series provides exposition that gives careful attention to the biblical text, is doctrinally Reformed, focuses on Christ through the lens of redemptive history, and applies the Bible to our contemporary setting. 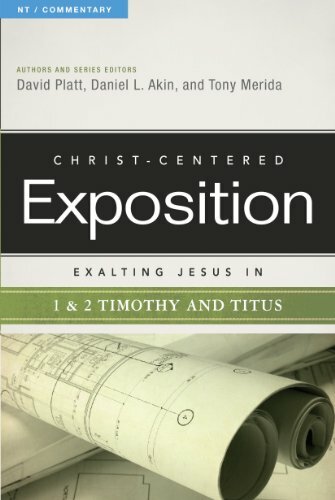 Edited by David Platt, Daniel L. Akin, and Tony Merida, this new commentary series, projected to be 48 volumes, takes a Christ- centered approach to expositing each book of the Bible.Rather than a verse-by-verse approach, the authors have crafted chapters that explain and apply key passages in their assigned Bible books. Readers will learn to see Christ in all aspects of Scripture, and they will be encouraged by the devotional nature of each exposition.Projected contributors to the series include notable authors such as Russell D. Moore, Al Mohler, Matt Chandler, Francis Chan, Mark Dever, and others. For our postmodern world the very notion of objective truth is open to question if not ridicule. So in our current cultural climate of soft footings and cracking walls, Paul's unambiguous commitment to the church as "the pillar and foundation of the truth" is a timely metaphor. The apostle calls us to reconsider the architecture of a truly Christian worldview and to reexamine the gospel and tradition we have inherited. In the letters to Timothy and Titus, Paul focuses on the idea of inheritance. The faithful, he writes, must guard and deliver the inheritance of gospel truth. Nearing the end of his life, Paul is intent on securing the heritage of gospel truth for the next generation. 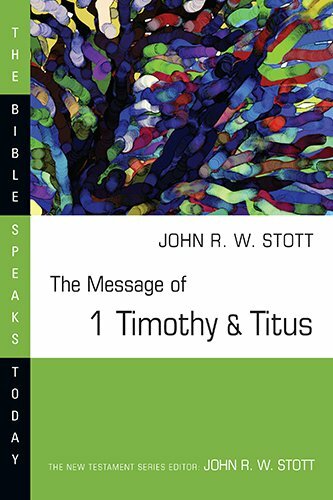 In this Bible Speaks Today volume (previously released as a hardcover book with the title Guard the Truth), John Stott finds in 1 Timothy and Titus a dynamic truth that orders Christian life in the church, the family and the world. Here is the lucid commentary we have come to expect from Stott, ever faithful to the text and time of Paul's letters. But in a manner unique to Stott's role as a distinguished Christian statesman, this work's interpretive and pastoral voice remarkably echoes Paul for our own day. One generation speaks to another: "Guard the truth." 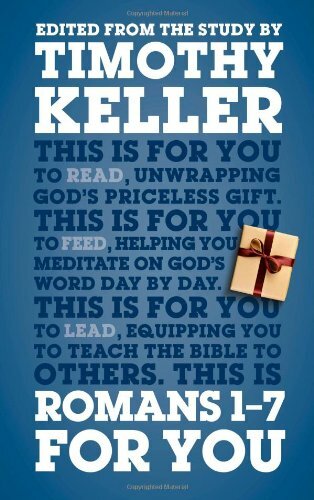 The Knowing the Bible series is a resource designed to help Bible readers better understand and apply God’s Word. 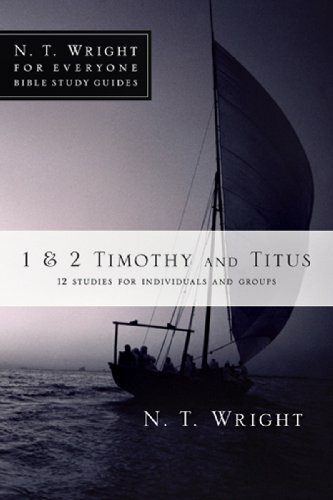 These 12-week studies lead participants through books of the Bible and are made up of four basic components: (1) reflection questions that help readers engage the text at a deeper level; (2) “Gospel Glimpses” that highlight the gospel of grace throughout the book; (3) “Whole-Bible Connections” that show how any given passage connects to the Bible’s overarching story of redemption, culminating in Christ; and (4) “Theological Soundings” that identify how historic orthodox doctrines are taught or reinforced throughout Scripture. With contributions from an array of influential pastors and church leaders, these gospel-centered studies will help Christians see and cherish the message of God’s grace on every page of the Bible. 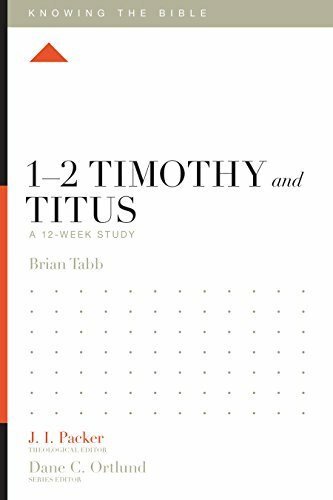 The letters to Timothy and Titus are among Paul's most personal and practical epistles. The apostle writes to instruct these younger men in the importance of sound doctrine and to urge them to rebuke false teaching. This accessible study shows how Paul's letters exhort all Christians to protect and pass on the true gospel of Jesus Christ, which has the power to save and transform sinners. When you need to know how to do something, a manual is the best place to start. 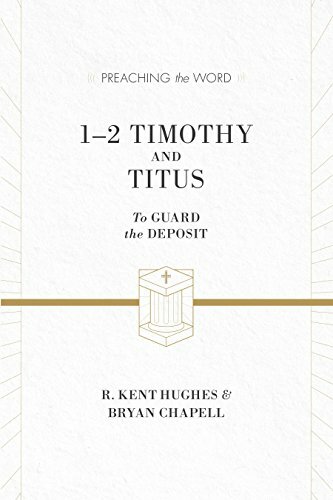 1 & 2 Timothy and Titus might be called "the Teacher's Manual," because so much of what they contain is about the kind of teaching that Christian leaders should--and shouldn't--be giving. Just as Timothy and Titus needed help to lead their young churches well in the midst of powerful cultural forces, we need guidance for correct leading and living in our own context. These studies on Paul's letters point us in the right direction. 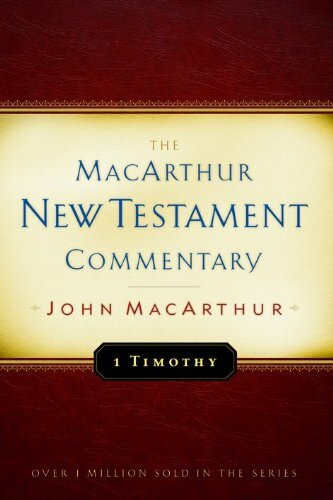 This guide by Tom Wright can be used on its own or alongside his New Testament for Everyone commentary on 1 & 2 Timothy and Titus. It is designed to help you understand Scripture in fresh ways under the guidance of one of the world's leading New Testament scholars. Thoughtful questions, prayer suggestions, and useful background and cultural information all guide you or a group more deeply into God's Word. Discover how you can participate more fully in God's kingdom. Watch our Read Scripture video on 1 Timothy, which breaks down the literary design of the book and its flow of thought. 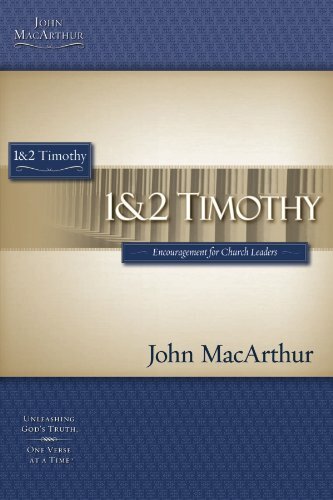 In 1 Timothy, Paul shows Timothy how to restore order and purpose to the church in Ephesus which has been disrupted by false teachers. Verse by Verse Bible Study on www.thecloudchurch.org through the book of 1 Timothy, covering chapter 1 and verse one. 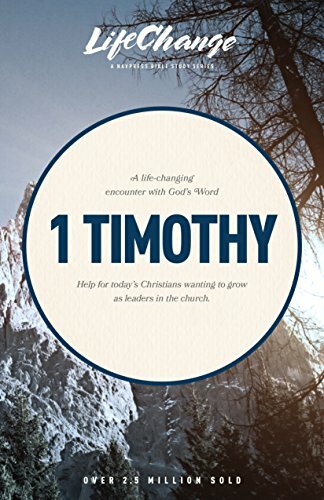 Compare prices on 1 Timothy at ShoppinGent.com – use promo codes and coupons for best offers and deals. Start smart buying with ShoppinGent.com right now and choose your golden price on every purchase.